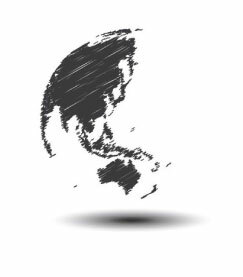 Proventeus is a South East Asia focused control buyout private equity manager specialising in high growth small and mid-size companies. Led by a home grown team of pioneering private equity professionals with a combined investment experience of more than 5 decades, Proventeus has a proven track record in sourcing and executing buy-out investments and successfully implementing portfolio growth strategies across a diverse pool of investments in South East Asia and China. Given its birthplace is South East Asia, Proventeus has deep cultural, intellectual, professional and familial connections here. With that comes in-depth knowledge of local economies, cultural nuances, and the ability to identify opportunities, navigate local complexities, assist its portfolio companies to achieve the aspirations for growth and deliver the targeted investment returns to its limited partners. As part of it commitment to responsible investment and nurture long-term value, Proventeus incorporates Environmental, Social and Governance (ESG) consideration as part of the investment requirements and performance evaluation of its portfolio companies. Proventeus was founded in 2006, as the private equity arm of Kuwait Finance House, Malaysia by Managing Partner, Mr Lew Oon Yew, from which he led a management buyout in 2012. Proventeus has raised and managed over US$200 million from institutional investors and family office investors from Malaysia, Brunei, Singapore, the Middle East, Europe and North America. 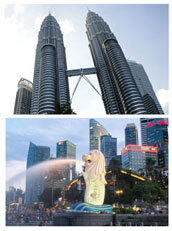 Proventeus has a team of seven investment professionals based in Kuala Lumpur and Singapore. Besides Mr Lew Oon Yew, the key members of the team are also pioneers in the private equity industry in South East Asia, having been founding members of other South East Asian private equity platforms. Over 19 years of private equity origination, investment and portfolio management experience. Former Head of Private Equity, Chief Executive Officer and Executive Director of Kuwait Finance House Asset Management. Former Investment Manager and Head of Strategy for portfolio company at Navis Capital. Bachelor of Economics, Flinders University of South Australia and Master of Banking & Finance, University of Sydney. Over 16 years of private equity origination, investment and portfolio management experience. Former Investment Manager at Navis Capital. Founding member of CIMB Private Equity. Managed 8 investments and with 5 successful exits. Bachelor of Economics, Flinders University of South Australia. Over 10 years of private equity origination, investment and portfolio management experience. Founding member of KFH (Malaysia) Private Equity. Prior experience includes Deloitte & Touche and Khazanah Nasional. Bachelor of Commerce, University of Melbourne, MBA, University of Nottingham, CFA. Aureumaex Industries Group (AI Group) is one of the leading precision engineering and disposal medical devices manufacturer in South East Asia. It is a fully integrated precision engineering manufacturer with cross segment capabilities to manufacturer components parts with different materials and technical requirements. AI Group strategically positions itself as a ‘One-Stop-Solution’ for MNCs and is capable of design and fabrication of molds, manufacturing of metal and plastic parts and final assembly of completed products. 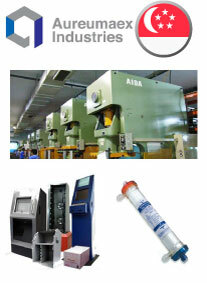 AI Group also manufactures and distributes disposable medical devices under its own brand name. 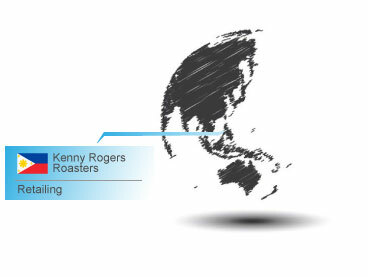 Kenny Rogers Roasters (KRR) is a leading casual dining restaurant chain in Philippines with a network of more than 70 stores. 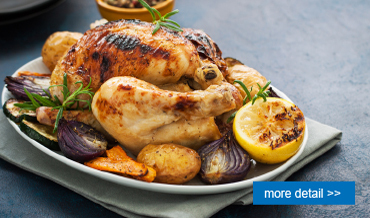 KRR which started operations in the Philippines in 1995, has one of the strongest brand recognition among consumers within the casual dining segment and roast chicken segment. KS Group is the largest fully integrated marine aquaculture specialist in Malaysia with 50 acres of hatchery, 4 acres of nursery, 8000 sea cages and established distribution and processing centers. KS Group with its 11 farms spanning over 38 acres of sea area and 70 ponds stretching over 50 acres of hatchery land is both the largest sea cage and hatchery operator in Malaysia. Founded in 2001, Pacific Healthcare (PHH) is Singapore’s premier multi-discipline medical specialist center that provides specialized medical care, specialist dental services, surgical services, and elderly care services. Its flagship medical center is located in the heart of Singapore Orchard Road. Leveraging on its established brand and global reach to medical tourists, PHH offers a broad range of specialist dental care and specialist medical care including neurosurgery, vascular & endovascular surgery, [maxillofacial], obstetrics and gynecology and ENT. AI Group’s footprint spans 5 countries and 7 manufacturing facilities with combined 750,000 sq feet of facility space. Through the facilities and its highly skilled technical personnel, AI Group supports some of the world largest MNCs in fulfilling their stringent quality requirement and supporting their increasingly complex supply chain. Among some of AI Group’s major customers are Samsung, Sony, Toshiba, Panasonic, Wincor Nixdorf, Schlafhorst and Verifone. AI Group’s strong technical capabilities and comprehensive equipment range, enable the group to penetrate various industries including consumer electronics, commercial equipment, industrial equipment, automotive, infrastructure, and aviation. 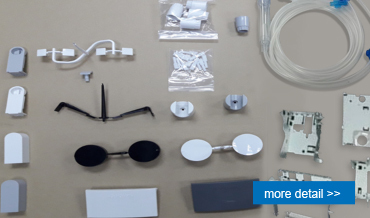 As the leading disposable medical devices manufacturer and distributor in Malaysia, AI Group commands a market share of over 60% for disposable dialysis devices in the private dialysis segment in Malaysia. Besides distributing to over 500 dialysis centers, AI Group distributes a broad range of critical care and generic disposal devices to over 600 private and public hospitals. As a group, AI Group exports its product directly to over 10 countries in the region, US, Europe and Middle East. All KRR stores are located in prime and strategic locations including major shopping malls, airports, high traffic highways, central business district and commercial areas, ensuring high accessibility. KRR diversified store formats including malls, strip [malls] and stand-alone stores offers great coverage and broad expansion opportunities. 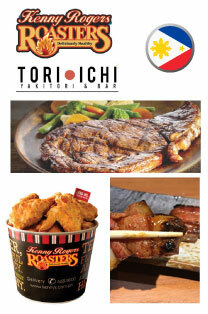 As a leading casual dining chain in Philippines, KRR serves over 12 million customers annually across its store network and deliver more than 1 million meals. With its strong brand and proven ability to attract traffic flows, KRR is one of the few brands that are able to secure prime locations from major mall operators and land owners in prime districts in major cities and towns. The strong brand equity build over the last 20 years has enable KRR to continue rolling out new stores to cater for demand from Philippine’s rapidly expanding middle class and urban population. As the leading marine aquaculture specialist in Malaysia, KS Group produces over 5 million of fish fries and more than 800 metric tons of fish stock annually. 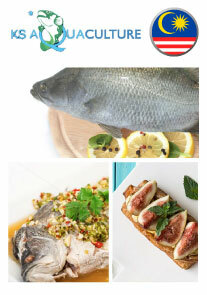 KS Group also has the broadest range of fish species in Malaysia including various grouper and snapper species, barramundi, and pomfret. Its produce are distributed locally through distributors as well as directly to customers through its own direct distribution arm. [Aside from being a prominent domestic supplier, KS Group is also a preferred supplier to Hong Kong and Mainland China customers due to its high quality and reliability. The Group’s farms are one of few aquaculture farms in Malaysia that are accredited with the Fish Quality Certificate (FQC) that allows export of fish stock to European Union. 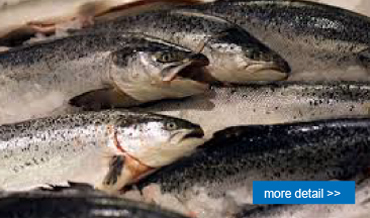 KS Group’s control of the supply chain has enabled it to ensure sustainability of farm output and at the same time the safety and high quality its fish stock. Founded in 2001, Pacific Healthcare (PHH) is Singapore’s premier multi-discipline medical specialist center that provides specialized medical care, specialist dental services, surgical services, and elderly care services. Its flagship medical center is located in the heart of Singapore Orchard Road, next to the world renowned Mt Elizabeth Hospital. Leading the dentistry group is one of Asia top dental surgeon who specialize in high complexity dental and implant surgery. The group’s experienced medical specialists include some of the leading doctors in their respective field of specialization. PHH also offers elderly care services through 2 nursing homes to capitalize on the growing market of elderly care demand in Singapore. Through the 11 senior activity centers awarded by the Singapore Ministry of Health, PHH, through a joint venture operates 5 dialysis centers. Established in 2002, CN-NL core activities includes designing, supplying of equipment and service provider for Municipal Waste Transfer Stations in China. Own four patents for waste management technologies and one registered trademark for the product. Assembly plant in Shanghai to cater for both domestic and export (mainly Europe) market. Headquartered in Shanghai, has staff strength of 35 people. One of the leading Healthcare group in Cardiac Care, Hospital Management and Health Care Services. 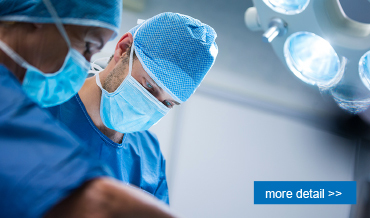 Established presence in Karnataka, Tamil Nadu, Assam and Goa with BMJ Hospital in Bangalore as their flagship hospital. Current workforce total 400 individuals comprising of highly qualified and experience specialist consultants and full time doctors. The medical team is supported by nurses, technicians, managerial and administrative professionals. 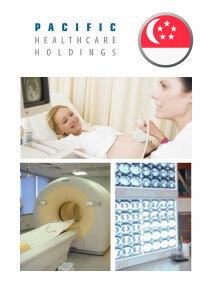 Incorporated in 2000, is the largest private outpatient diagnostic center in Singapore. Own and operate 4 diagnostic centers and 12 GP in Singapore. Referral from more than 1,000 specialists and doctors with an average of 500 scans a day. Expertise in oncology, neurology, cardiology and muscular-skeletal imaging. Orient Tonghua Technology (OTT) is a leading wastewater treatment specialist in China focusing on leachate treatment. Principal activities include supply of equipment (i.e. design and fabrication of equipment, installation of equipment), designing and engineering consultancy services, construction of wastewater treatment facilities. OTT was incorporated in 2000 by a group of professional engineers and has actively involved in research and development of wastewater treatment technology. Head office is based in Beijing, China with seven sales offices are maintained in Tianjin(天津), Yunnan(云南), Hainan(海南), Fujian(福建), Shangdong(山东), Henan(河南) and Shaanxi(陕西). The main technologies and expertise owned by OTT include, amongst others, membrane bioreactors technology, low pressure microfiltration technology, ultra filtration membranes technology, biological treatments and chemical treatments. Proventeus is an established South East Asian based private equity fund with a preference for control and buy out investments. Proventeus adopts a pro-active management approach in identifying, evaluation and implementation of growth opportunities and plan for portfolio companies. We are a home grown team comprising of multi-disciplinary and internationally educated professionals who were born, bred and built their professional careers in South East Asia. We speak the languages, understand the cultures and know the people of South East Asia. We capitalise on our home ground advantage and focus on South East Asia. We are sector agnostic and are open to most industries except for real estate, early stage technology and commodity mining. We do have a preference for industries which operate free from excessive regulatory constraints, resilient to market cycles, have favourable demand-supply dynamics and have high barriers to entry. Industries which we have invested in the past includes, healthcare, waste management, retail, food and beverage, manufacturing, among others. For over 10 years, we have been making control and buy-out investments of small and medium enterprises in this part of the world. We fund companies seeking expansion and growth capital. We are also open to special situation opportunities. Our preferred investment size is between US$8 million and US$20 million. A key consideration in our investments are proven and motivated management teams with whom we can work closely to maximise and create the best value in their businesses.